This is a glacial river and the main artery of the Borgarfiord region. 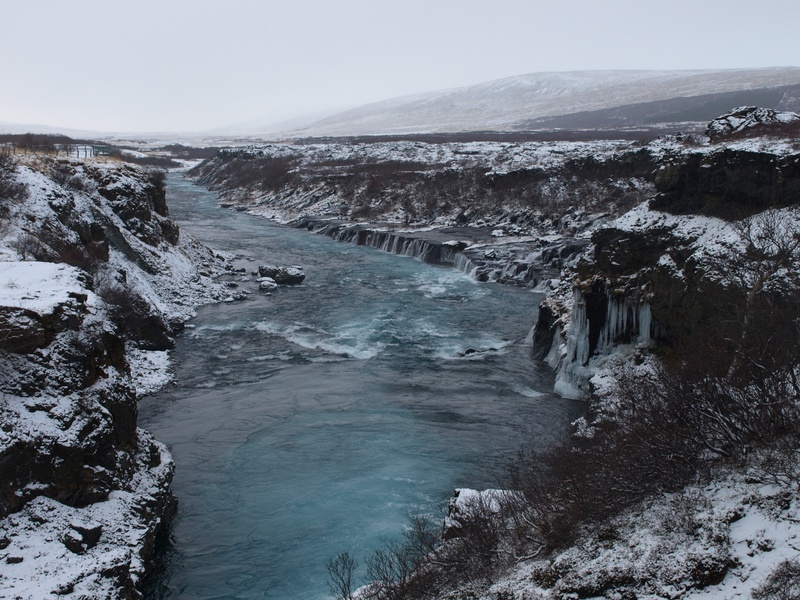 Most of the main rivers in the region empty into the Hvita and as most of the rivers are among the main salmon rivers in Iceland, thousands of salmon venture through it. Still, the Salmon seems to amass in only very few places in the Hvita and those places are mostly at the junctions of the major salmon rivers. The main spots are the Brenna, where the Thvera spills in, the Straumar, where the Nordura and Gljufura spill in and the Svarthofdi, where the Flokadalsa and Reykjadalsa share an outlet. There is also a lesserplace, the Skuggi, where River Grimsa enters, and there are also notable fishing spots known as Thvottaklopp and Eyrar. The junctions are the main spots, each producing 150 to 220 salmons each summer plus a lot of sea trout.